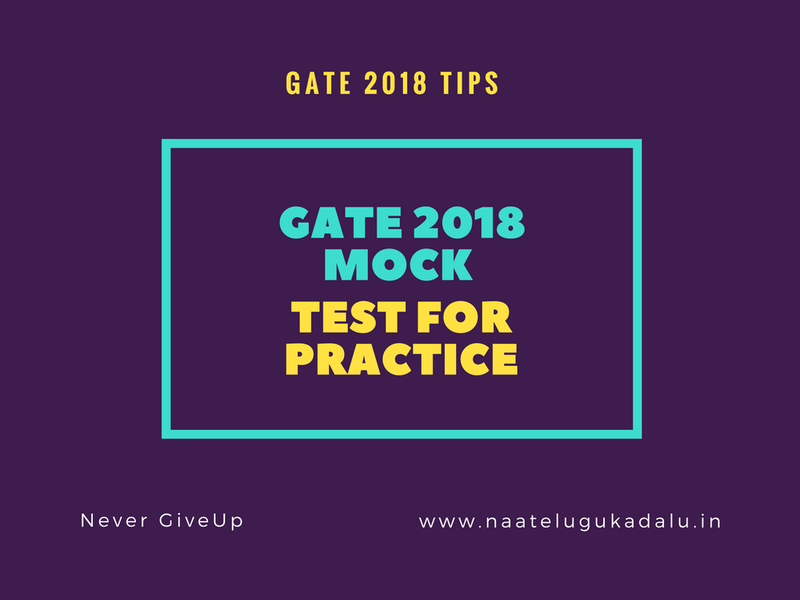 GATE 2018 Mock Test Online for civil, electronics, electrical, computer science, instrumentation and mechanical engineering. Now a days all exams are online based type exams. Gate also online based entrance test for engineering graduates. GATE (Graduate Aptitude Test In Engineering ) Exam is one of the top most exam for PSUs selection . number of public sector units collaborated with Gate Exam or Score for Selection. Psus like: HAL, BHEL, BSNL ,HBL, NCIL etc., here all students world team provides the online mock test for GATE 2018 Aspirants. this mock tests helpful for all branches.